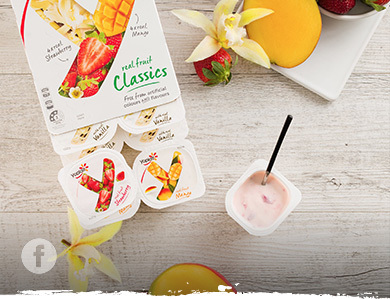 They're Sweet Enough already 30% less sugar than the average flavoured yoghurt*. 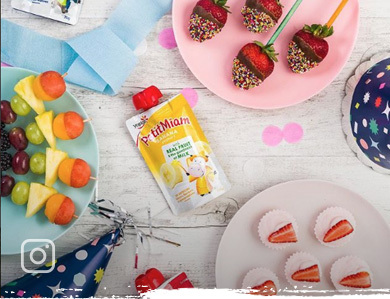 So your children can enjoy a tasty, nutritious snack with the goodness of milk. ^based on AusNUT 2011-2013 Food Nutrient Database. 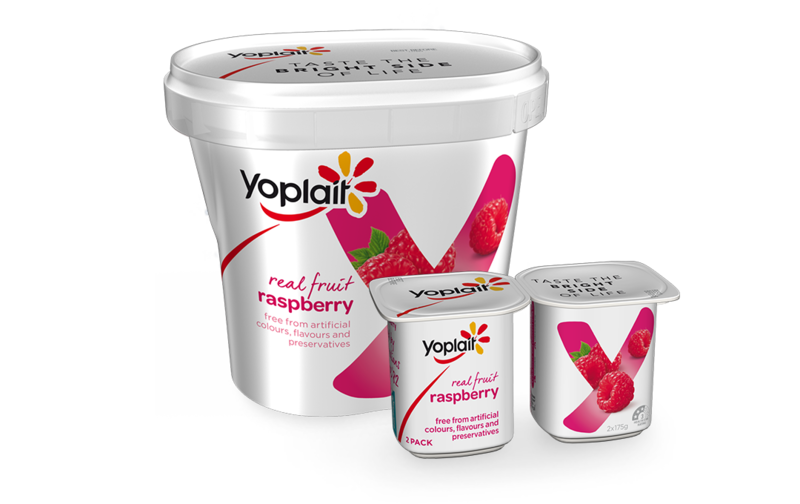 MILK, MILK SOLIDS, SKIM MILK, SUGAR, RASPBERRY (5%), GELATINE, THICKENERS (MODIFIED STARCH, GUAR GUM), NATURAL FLAVOURS, ACIDITY REGULATOR (SODIUM CITRATE), NATURAL COLOUR (CARMINE), LEMON JUICE CONCENTRATE, YOGHURT CULTURES: S.THERMOPHILUS & L.BULGARICUS. 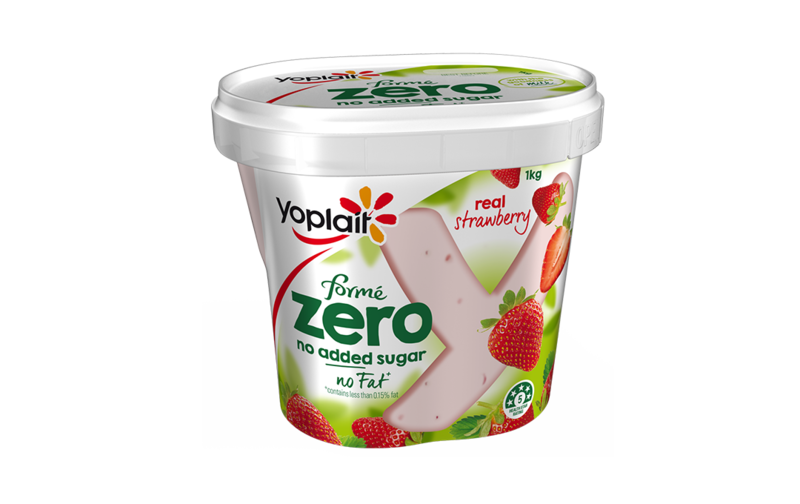 MILK, MILK SOLIDS, SKIM MILK, SUGAR, STRAWBERRIES (6%), GELATINE, THICKENERS (MODIFIED STARCH, CARRAGEENAN), NATURAL FLAVOURS, ACIDITY REGULATORS (SODIUM CITRATE, CITRIC ACID), FIRMING AGENT (CALCIUM CHLORIDE), NATURAL COLOUR (CARMINE), YOGHURT CULTURES: S.THERMOPHILUS & L.BULGARICUS. MILK (min. 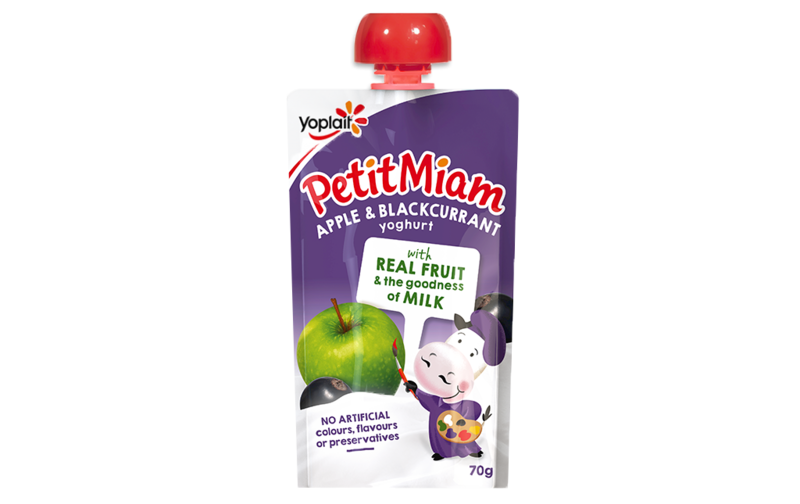 70%) [MILK, SKIM MILK], MILK SOLIDS, WATER, STRAWBERRY (4%), SUGAR, THICKENER (1442), APPLE JUICE CONCENTRATE, MINERAL CALCIUM (341), NATURAL FLAVOURS, BLACK CARROT & BLACKCURRANT CONCENTRATE, ACIDITY REGULATORS (331, 296), VITAMIN D, YOGHURT CULTURES: S.THERMOPHILUS, L.BULGARICUS, B.LACTIS. CONTAINS MILK. MILK, MILK SOLIDS, SKIM MILK, WATER, SUGAR, GELATINE, CORN STARCH, NATURAL FLAVOUR, ACIDITY REGULATOR (CITRIC ACID), VANILLA BEAN SEED (0.01%), NATURAL COLOUR (CAROTENE), YOGHURT CULTURES: S.THERMOPHILUS & L.BULGARICUS. 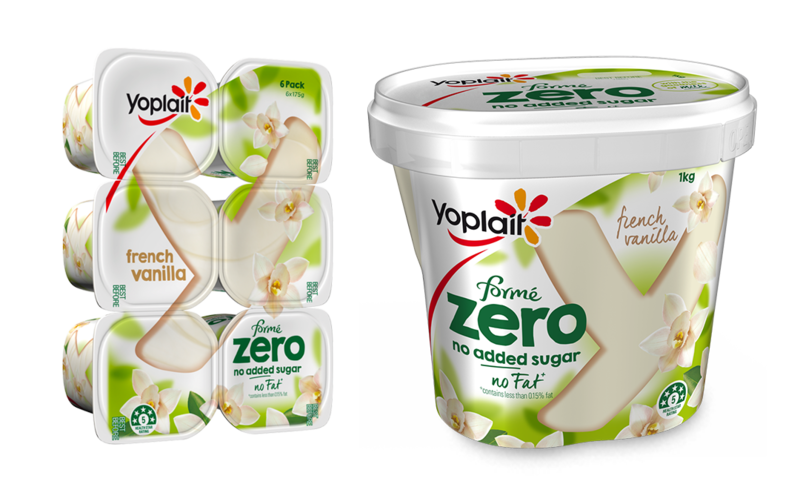 SKIM MILK, SUGAR, WATER, CREAM, MILK SOLIDS, THICKENER (1442), GELATINE, FLAVOURS, VANILLA BEAN (0.01%), ACIDITY REGULATORS (330, 331), PRESERVATIVE (202), NATURAL COLOUR (160b), CULTURES. MILK, SUGAR, RICE (MIN. 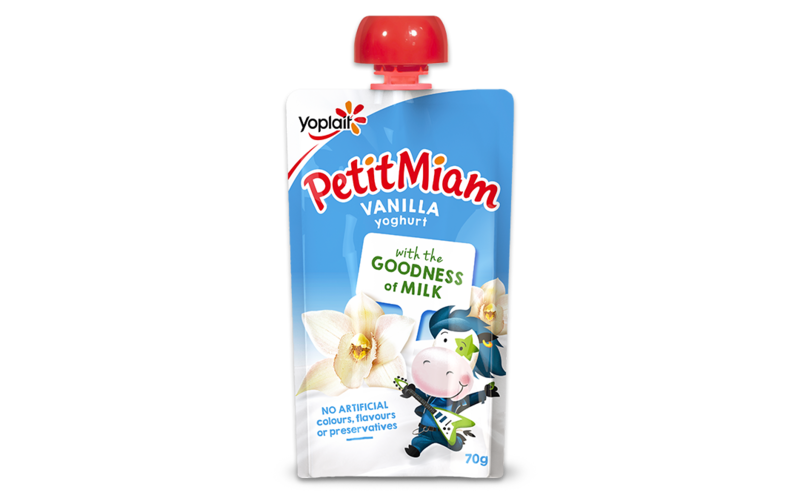 6%), THICKENERS (1442, 410), MILK SOLIDS, SALT, NATURAL FLAVOUR. MILK (min. 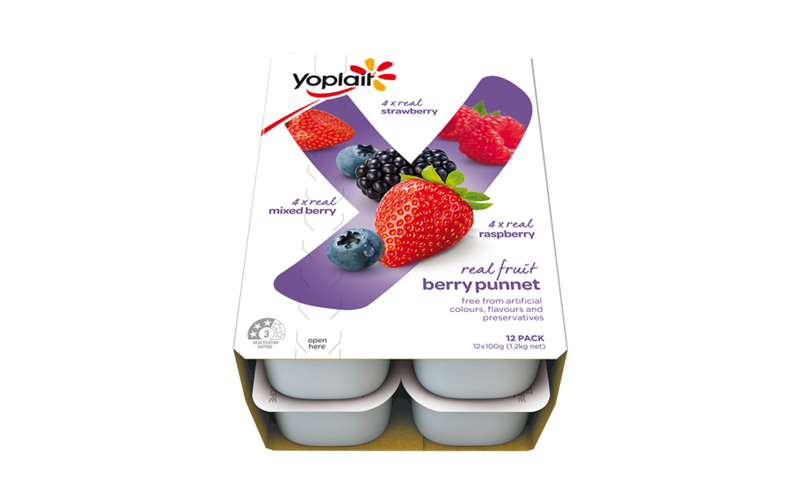 70%) [MILK, SKIM MILK], MILK SOLIDS, WATER, SUGAR, BLUEBERRY (3%), APPLE JUICE CONCENTRATE, THICKENER (1442), MINERAL CALCIUM (341), NATURAL FLAVOURS, ACIDITY REGULATORS (331, 296), VITAMIN D, YOGHURT CULTURES: S.THERMOPHILUS, L.BULGARICUS, B.LACTIS. CONTAINS MILK. 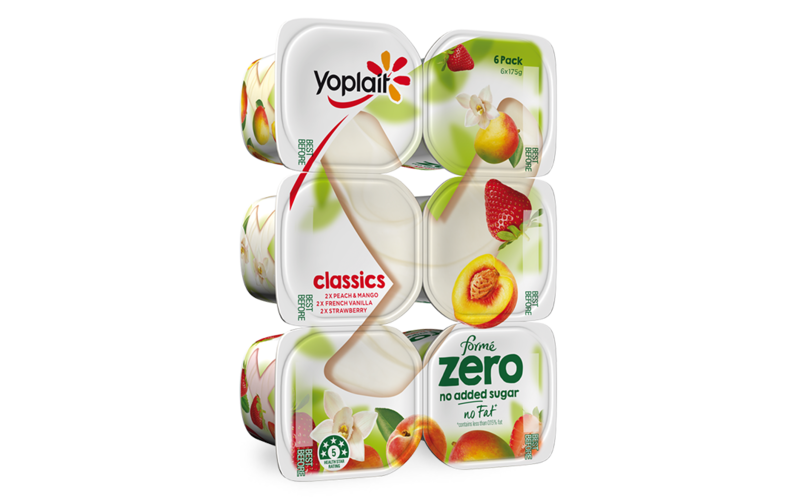 MILK, MILK SOLIDS, SKIM MILK, SUGAR, MANGO (6%), GELATINE, THICKENER (MODIFIED STARCH), NATURAL FLAVOURS, NATURAL COLOUR (CAROTENE), ACIDITY REGULATORS (CITRIC ACID, SODIUM CITRATE), YOGHURT CULTURES: S.THERMOPHILUS & L.BULGARICUS. 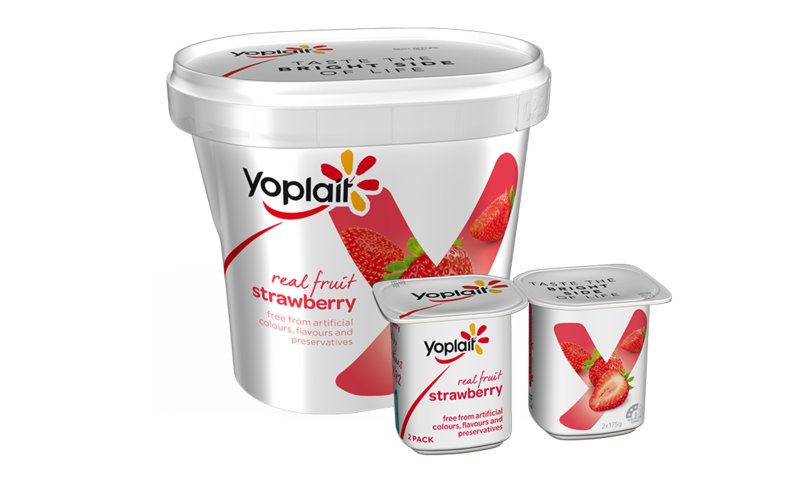 MILK, MILK SOLIDS, SKIM MILK, SUGAR, RASPBERRY (5%), GELATINE, THICKENERS (MODIFIED STARCH, GUAR GUM), NATURAL FLAVOURS, ACIDITY REGULATORS (SODIUM CITRATE), NATURAL COLOUR (CARMINE), LEMON JUICE CONCENTRATE, YOGHURT CULTURES: S.THERMOPHILUS & L.BULGARICUS. 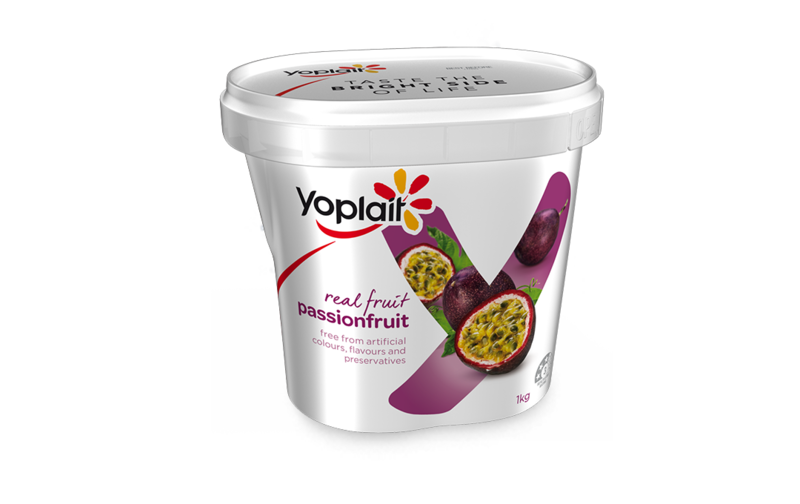 MILK, MILK SOLIDS, SKIM MILK, SUGAR, WATER, PASSIONFRUIT (5%), GELATINE, THICKENERS (MODIFIED STARCH, PECTIN), ACIDITY REGULATORS (POTASSIUM CITRATE), NATURAL FLAVOUR, NATURAL COLOUR (CAROTENE), YOGHURT CULTURES: S.THERMOPHILUS & L.BULGARICUS. 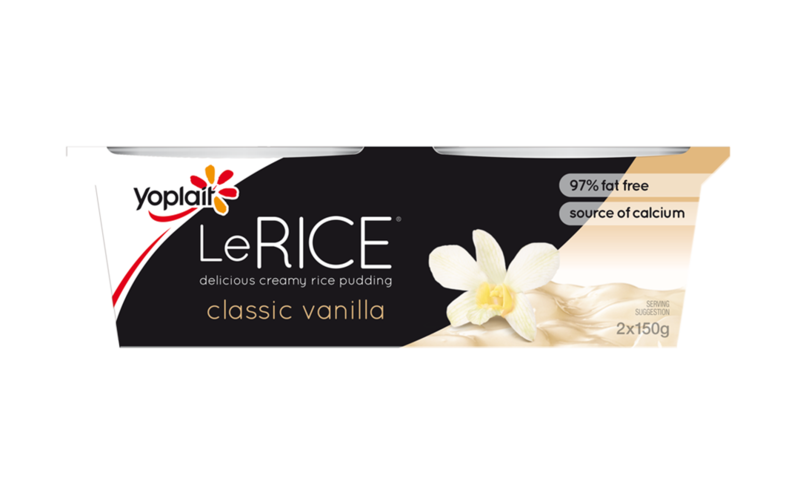 SKIM MILK, MILK SOLIDS, WATER, POLYDEXTROSE, THICKENERS (MODIFIED STARCH, LOCUST BEAN GUM), GELATINE, NATURAL FLAVOURS, SWEETENERS (ACESULFAME POTASSIUM, SUCRALOSE), ACIDITY REGULATORS (CITRIC ACID, SODIUM CITRATE), YOGHURT CULTURES: S.THERMOPHILUS & L.BULGARICUS. 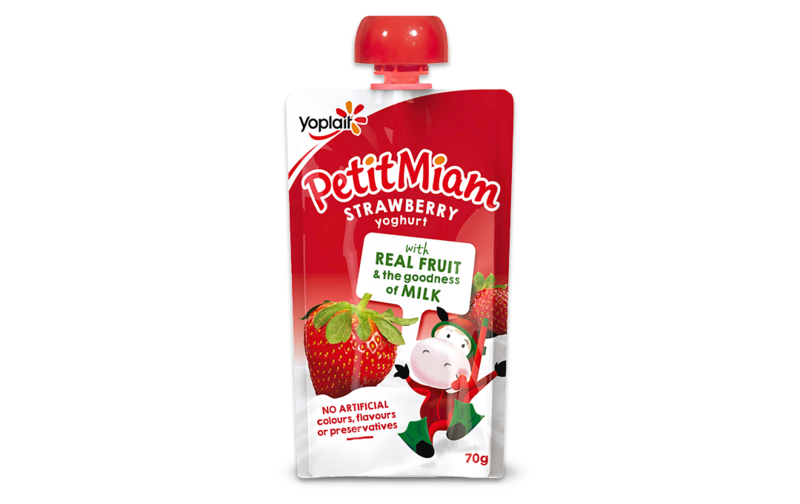 SKIM MILK, MILK SOLIDS, STRAWBERRIES (6%), WATER, POLYDEXTROSE, THICKENERS (MODIFIED STARCH, CARRAGEENAN), GELATINE, NATURAL FLAVOURS, ACIDITY REGULATORS (SODIUM CITRATE, CITRIC ACID), MINERAL SALT (CALCIUM CHLORIDE), SWEETENERS (ACESULFAME POTASSIUM, SUCRALOSE), NATURAL COLOUR (CARMINE), YOGHURT CULTURES: S.THERMOPHILUS & L.BULGARICUS. 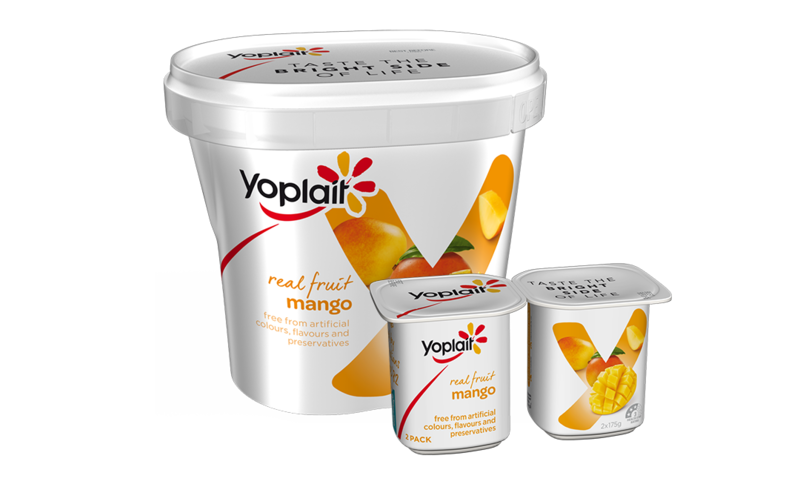 SKIM MILK, MILK SOLIDS, WATER, FRUIT (5.5%) (PEACH, MANGO, RECONSTITUTED MANGO PUREE), POLYDEXTROSE, THICKENERS (MODIFIED STARCH, LOCUST BEAN GUM, PECTIN), GELATINE, SWEETENERS (ACESULFAME POTASSIUM, SUCRALOSE), ACIDITY REGULATORS (SODIUM CITRATE, MALIC ACID), NATURAL FLAVOURS, NATURAL COLOUR (CAROTENE), MINERAL SALT (CALCIUM CHLORIDE), YOGHURT CULTURES: S.THERMOPHILUS & L.BULGARICUS. 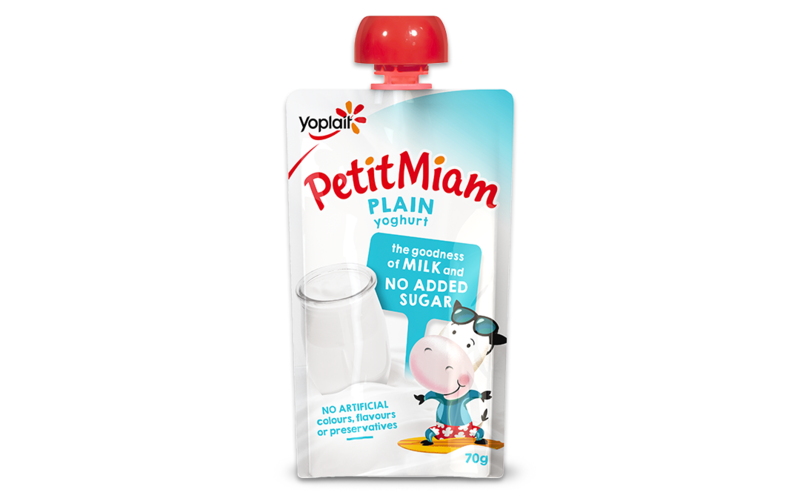 SKIM MILK, MILK SOLIDS, WATER, RASPBERRIES (5%), POLYDEXTROSE, THICKENERS (MODIFIED STARCH, LOCUST BEAN GUM, PECTIN), GELATINE, NATURAL FLAVOURS, ACIDITY REGULATORS (SODIUM CITRATE, MALIC ACID), SWEETENERS (ACESULFAME POTASSIUM, SUCRALOSE), NATURAL COLOUR (CARMINE), MINERAL SALT (CALCIUM CHLORIDE), YOGHURT CULTURES: S.THERMOPHILUS & L.BULGARICUS. SKIM MILK, MILK SOLIDS, WATER, FRUIT (5.5%) (BLACKBERRIES, STRAWBERRIES, RASPBERRIES), POLYDEXTROSE, THICKENERS (MODIFIED STARCH, LOCUST BEAN GUM, PECTIN), GELATINE, NATURAL FLAVOURS, ACIDITY REGULATORS (SODIUM CITRATE, MALIC ACID), SWEETENERS (ACESULFAME POTASSIUM, SUCRALOSE), PURPLE CARROT CONCENTRATE, MINERAL SALT (CALCIUM CHLORIDE), YOGHURT CULTURES: S.THERMOPHILUS & L.BULGARICUS. 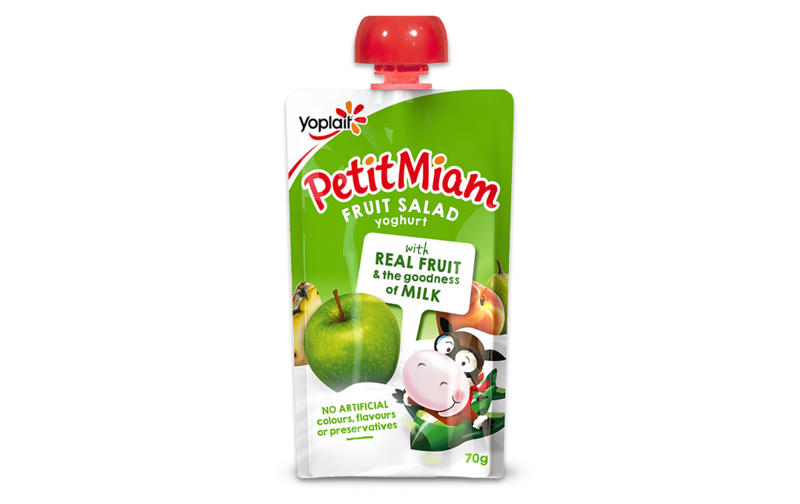 SKIM MILK, MILK SOLIDS, WATER, PASSIONFRUIT (5.5%), POLYDEXTROSE, THICKENERS (MODIFIED STARCH, LOCUST BEAN GUM, PECTIN), GELATINE, NATURAL FLAVOURS, ACIDITY REGULATORS (SODIUM CITRATE,CITRIC ACID), SWEETENERS (ACESULFAME POTASSIUM, SUCRALOSE), MINERAL SALT (CALCIUM CHLORIDE), YOGHURT CULTURES: S.THERMOPHILUS & L.BULGARICUS. 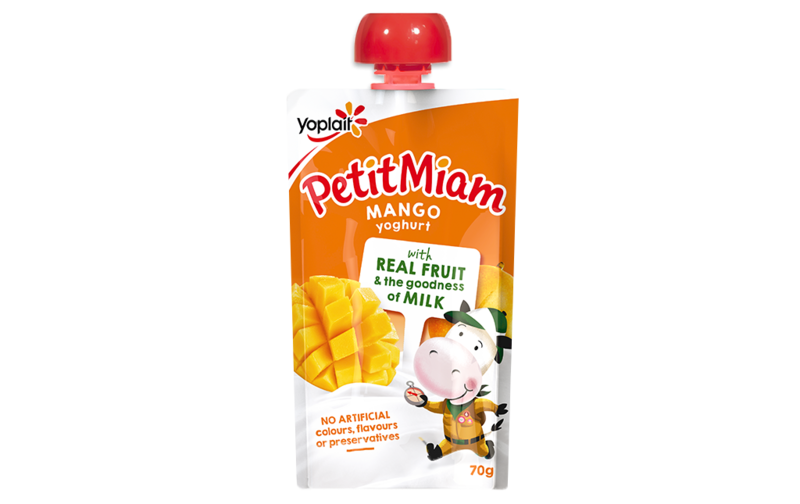 SKIM MILK, MILK SOLIDS, WATER, FRUIT (5.5%) (PINEAPPLE, PASSIONFRUIT, ORANGE), POLYDEXTROSE, THICKENERS (MODIFIED STARCH, LOCUST BEAN GUM, PECTIN), GELATINE, NATURAL FLAVOURS, ACIDITY REGULATORS (SODIUM CITRATE, CITRIC ACID), SWEETENERS (ACESULFAME POTASSIUM, SUCRALOSE), MINERAL SALT (CALCIUM CHLORIDE), YOGHURT CULTURES: S.THERMOPHILUS & L.BULGARICUS. 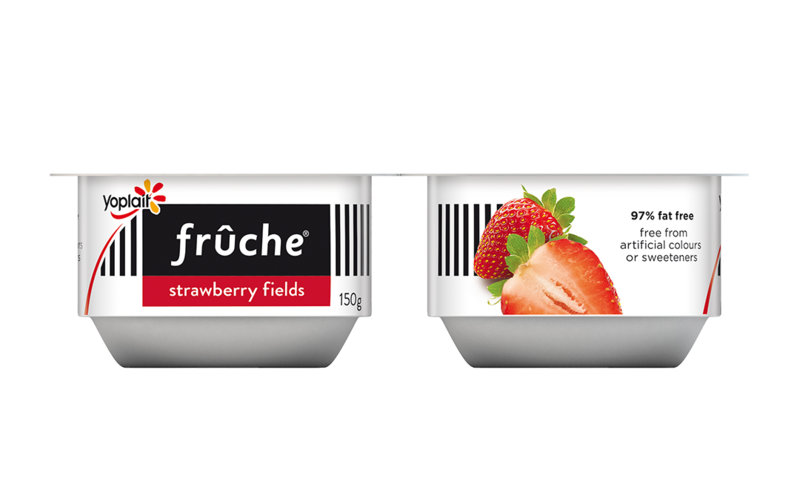 MILK, SUGAR, STRAWBERRY (4.8%) (PUREE, RECONSTITUTED JUICE), MILK SOLIDS, THICKENER (1442), GELATINE, CREAM, FLAVOURS, ACIDITY REGULATORS (331,330), NATURAL COLOUR (120), PRESERVATIVE (202), CULTURES. 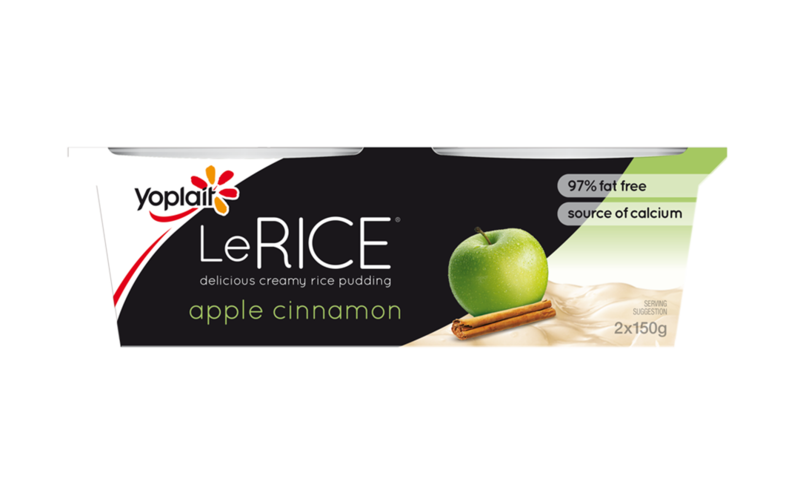 MILK, APPLE (MIN. 8%), SUGAR, RICE (MIN. 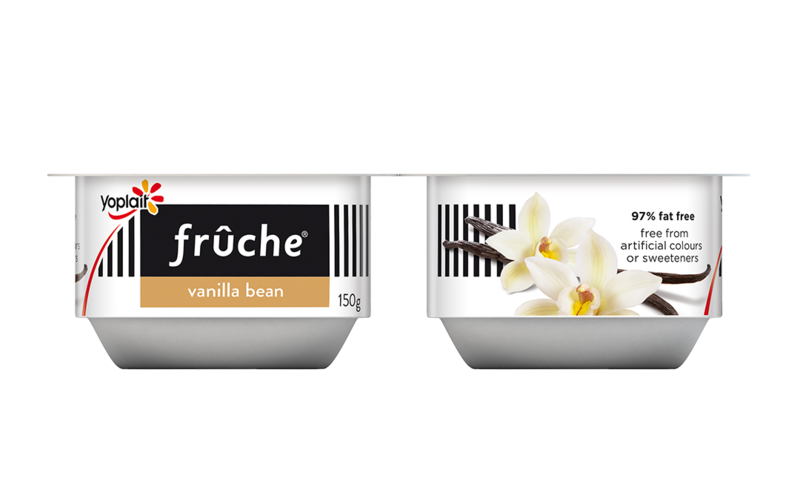 5.5%), THICKENERS (1442, 410, 415), MILK SOLIDS, NATURAL FLAVOURS, ACIDITY REGULATORS (296, 331), CINNAMON (0.02%), NATURAL COLOUR (160b), SALT. MILK (min. 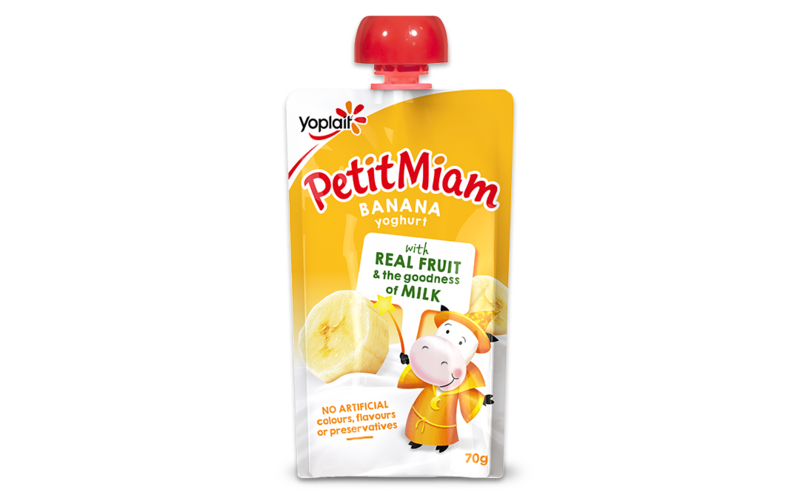 70%) [MILK, SKIM MILK], WATER, MILK SOLIDS, BANANA (5%), SUGAR, THICKENER (1442), MINERAL CALCIUM (341), NATURAL FLAVOURS, ACIDITY REGULATORS (330, 331), NATURAL COLOUR (160b), VITAMIN D, YOGHURT CULTURES: S.THERMOPHILUS, L.BULGARICUS, B.LACTIS. CONTAINS MILK. MILK (min. 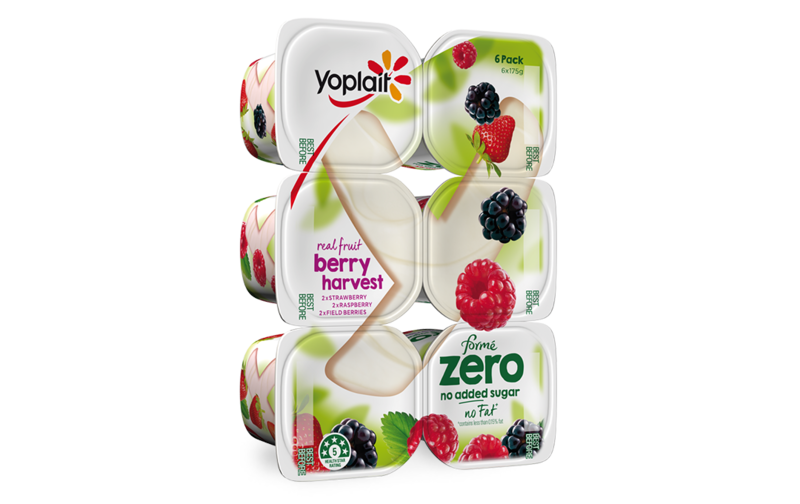 70%) [MILK, SKIM MILK], WATER, MILK SOLIDS, SUGAR, THICKENER (1442), MINERAL CALCIUM (341), NATURAL FLAVOURS, ACIDITY REGULATORS (330,331), VITAMIN D, YOGHURT CULTURES: S.THERMOPHILUS, L.BULGARICUS, B.LACTIS. CONTAINS MILK. MILK (min. 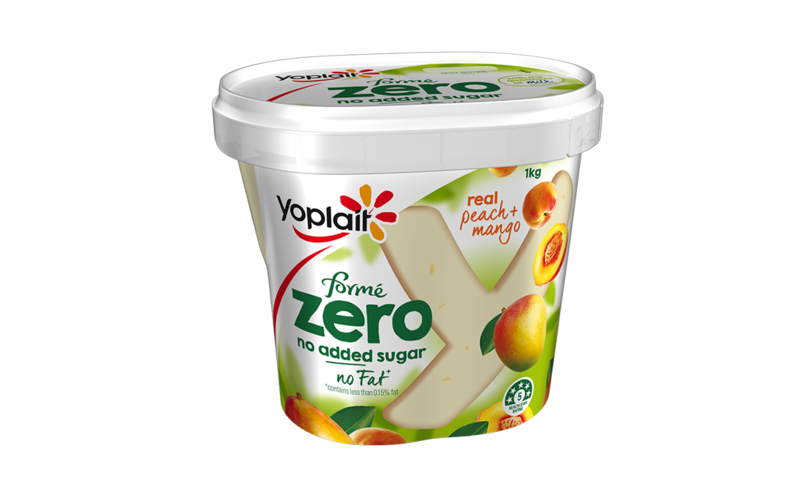 70%) [MILK, SKIM MILK], MILK SOLIDS, WATER, FRUIT (5%) [APPLE, PINEAPPLE, PEACH, PEAR], SUGAR, THICKENER (1442), MINERAL CALCIUM (341), NATURAL FLAVOURS, ACIDITY REGULATORS (296, 331), VITAMIN D, LIVE YOGHURT CULTURES: (S.THERMOPHILUS, L.BULGARICUS, B.LACTIS). CONTAINS MILK. MILK (min. 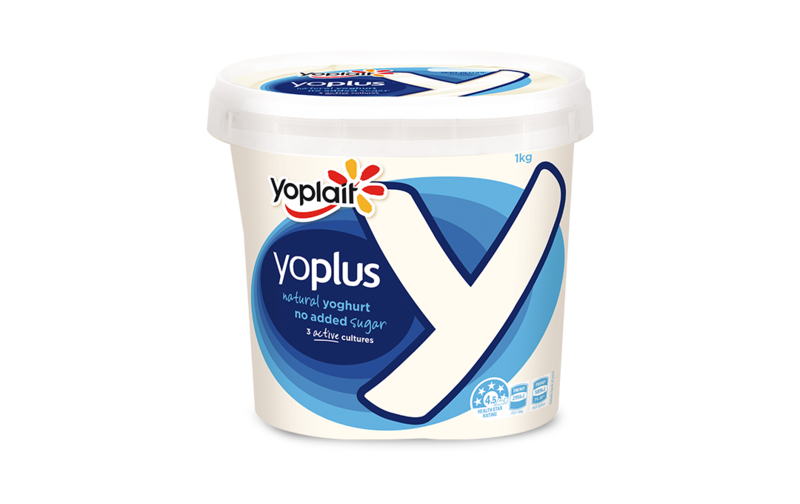 80%) [MILK, SKIM MILK], MILK SOLIDS, WATER, THICKENER (1442), MINERAL CALCIUM (341), YOGHURT CULTURES: (S.THERMOPHILUS, L.BULGARICUS, B.LACTIS). CONTAINS MILK. MILK (min. 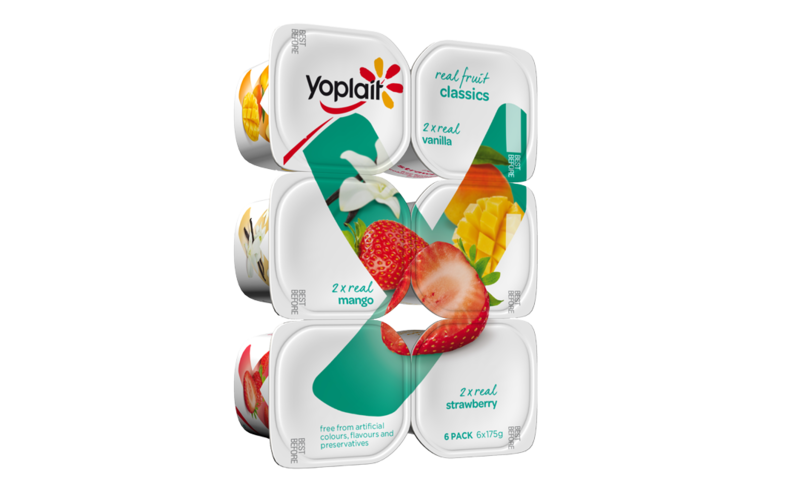 70%) [MILK, SKIM MILK],WATER, MILK SOLIDS, APPLE (4.3%), SUGAR, THICKENER (1442), BLACKCURRANT JUICE FROM CONCENTRATE (1%), MINERAL CALCIUM (341), NATURAL FLAVOURS, LEMON JUICE CONCENTRATE, ACIDITY REGULATORS (331), VITAMIN D, YOGHURT CULTURES: (S.THERMOPHILUS, L.BULGARICUS, B.LACTIS). CONTAINS MILK. MILK (min. 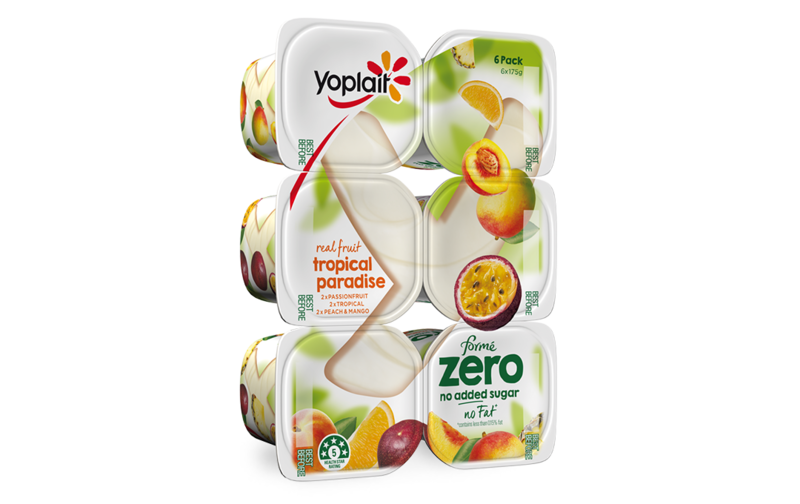 70%) [MILK, SKIM MILK],WATER, MILK SOLIDS, MANGO (5%), SUGAR, THICKENER (1442), MINERAL CALCIUM (341), NATURAL FLAVOUR, NATURAL COLOUR (160A) MILK MINERALS, YOGHURT CULTURES: (S.THERMOPHILUS, L.BULGARICUS, B.LACTIS). 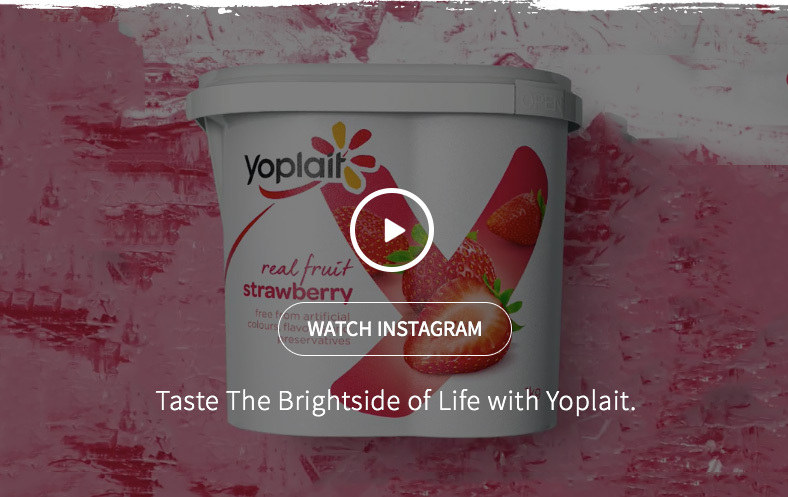 CONTAINS MILK.